Home > 2012 > 06/23 > WHAT NOW…. 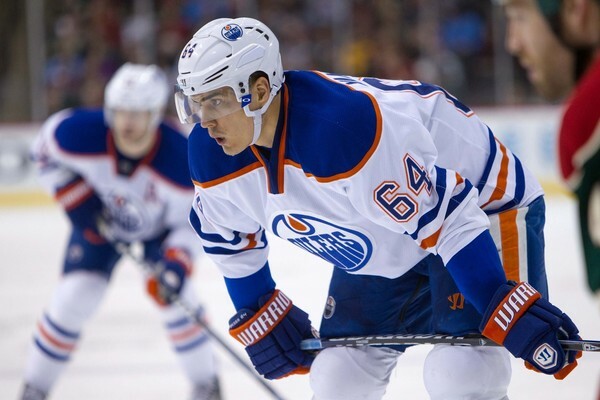 Despite all the rumours about potentially not taking him, the Oilers selected Nail Yakupov with the first pick. He was considered the best player in the draft, and the Oilers agreed. The Oilers now have four, young dynamic forwards, but now the focus turns to finding some solid defenders, and gritty, tough and skilled role players. The Oilers currently hold the 32nd pick, and they are very high on Henrik Samuelsson. If he is still available in the final few picks of the first round, we might see them try and move up a few spots. Another guy who is tough and rugged is D-man Dalton Thrower, best last name in hockey, who they might look at. You can expect the Oilers to use one, if not two, of their remaining picks to draft some players with a mix of size, skill and toughness. A major void in the organization is players who have a mixture of skill, grit and nastiness. Steve Tambellini needs to start re-tooling his team now that the 1st pick is in the books. The easy moves are over with, if this franchise is going to move forward he needs to get creative and make some moves that involve acquiring NHL players. Now that the Oilers have Yakupov, I’m sure we will hear lots of chatter about possibly moving Hemsky to acquire a blueliner. In theory it makes sense, since they have Eberle and Yakupov on the RW, but I don’t see the need to rush into it. I still think Hemsky’s trade value might be a tad low right now, so letting him play with the kids for a few months, or a year, and see his value increase. The Oilers own the 32nd, 63rd, 91st, 93rd, 123rd and 153rd picks. Mitch Moroz would be a great 3rd round pick if he is there. As a 17-year-old he scored 17 goals in a 4th line role with the Oil Kings. He’s also very tough. He’s exactly what the Oilers need in their organization. Here is a great story of Radek Faksa, who went 13th overall to the Stars. Now score more goals and win cup! By 2015 the Oilers will be dismantling the current core and starting the next rebuild. Next rebuild will be management , not the players . Management produces this year or they will be first to go . By the way ,was MacT. at the Oilers table at this draft ?